Who doesn’t have a favorite dish that you can’t wait to enjoy on Thanksgiving? For me, that dish is the pumpkin pie. Don’t get me wrong, I love eating turkey but the pie is my favorite part of Thanksgiving dinner. 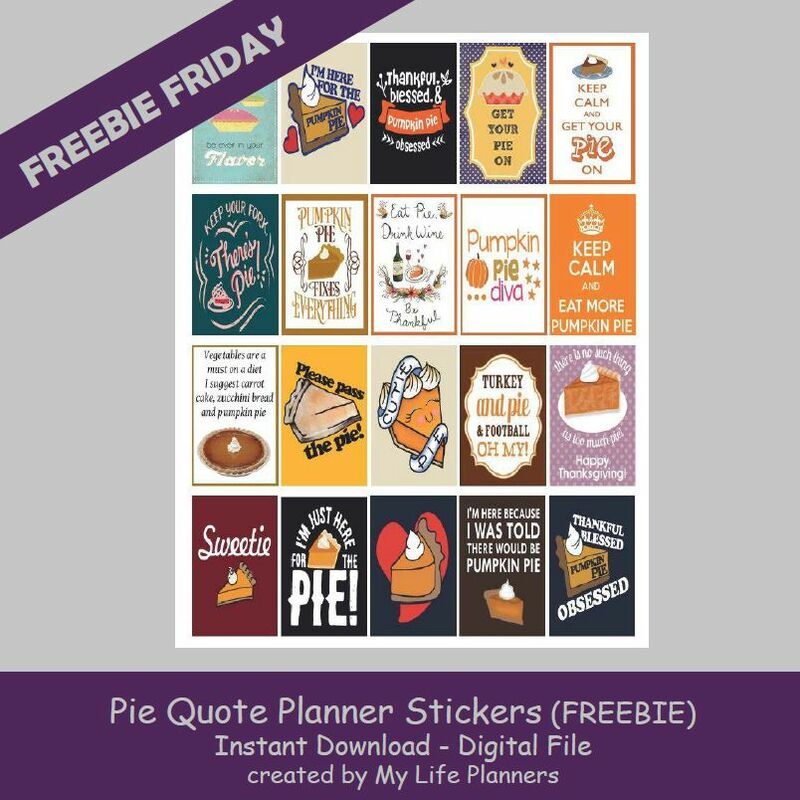 In staying with the Thanksgiving Theme for Freebie Friday; this week’s feature is all about the Pie. Go ahead and put a slice in your planners.